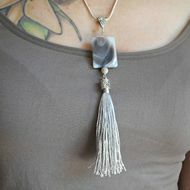 Wire wrapped handmade jewelry. 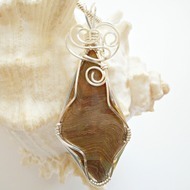 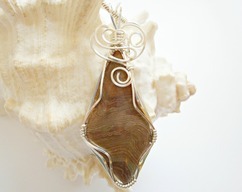 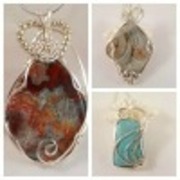 Pendants made from natural, enhanced and ceramic cabochons using wire to create a design around the stone. 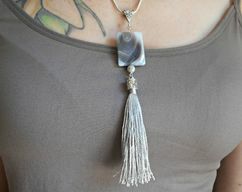 Includes chain/cord.